Emma Williams' case demonstrates the horrific action that a single mother with no support could be forced to take. The Champion newspaper claimed in October 1895 that the case of Emma Williams would 'exhibit Victoria to the world as the very lowest and most degraded of all civilised communities'. Was the newspaper condemning the society or the criminal? Emma and her husband arrived in Melbourne in 1893 from Tasmania but things went badly for her. 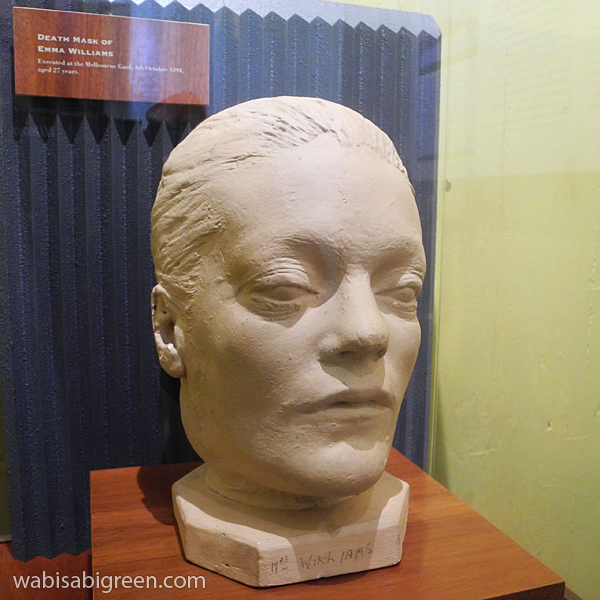 Work was scarce because of the Depression; she became pregnant; and her husband died of typhoid. She tried unsuccessfully to give her son to a baby farmer or orphanage, and resorted to prostitution to survive. In August 1895 the anguished mother drowned her baby son because he was a 'nuisance' and cried when she had clients. Emma was found guilty but her execution was delayed when she claimed, falsely, to be pregnant. Various public petitions against capital punishment were sent to the Executive Council but Emma was hanged on 4 November 1895, aged twenty-seven. 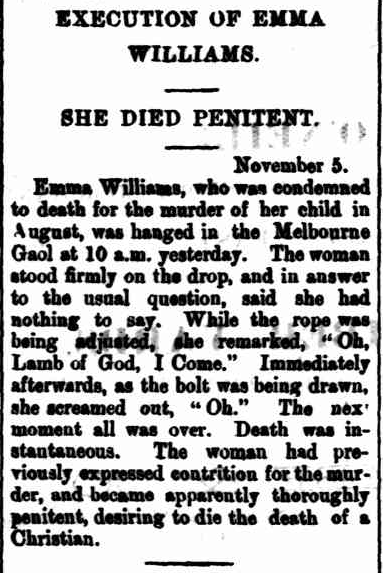 Coolgardie Miner (WA : 1913 - 1917), Wed 6 Nov 1895, pg 5, 'EXECUTION OF EMMA WILLIAMS'.